We are definitely a slaw family. It is super easy to make, delicious and versatile. 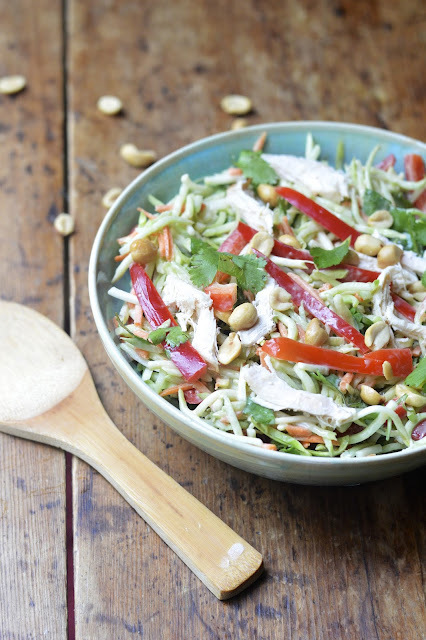 One of my most popular recipes on Virtually Homemade is this Easy Sweet and Spicy Slaw that I made at about this exact time last year. OK the key word here is easy. This is a no fuss dinner that can be made in about 5 minutes. The trick - a nice big package of organic broccoli slaw. I love broccoli slaw. It's so crunchy and healthy and turns up the regular cabbage mixture. I am all for buying pre-shredded, pre-cleaned, pre-chopped. It makes life so darn simple! And I have to admit, I often feel pretty lazy around dinner time (not a good trait for a food blogger). So I created this recipe today because my daughter has lacrosse practice about 40 minutes away and I am the carpool lady. We'll grab a bit of this salad before we go and then snack on it when we get back. Tonight had to be quick and pre made. If you are in a time crunch, this Asian Slaw with Roasted Chicken is for you. 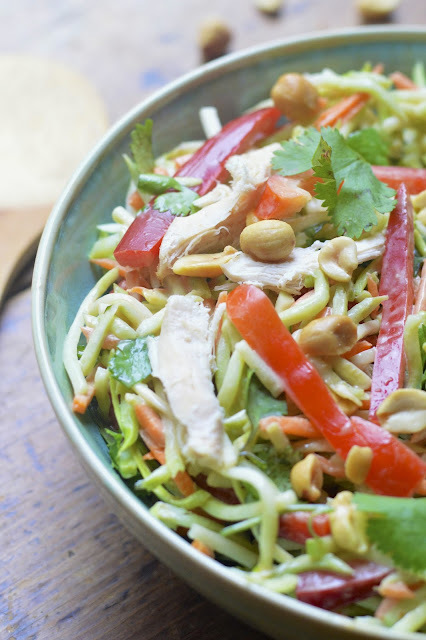 In a large bowl combine slaw and red pepper. In a food processor combine all of the dressing ingredients and blend until smooth. 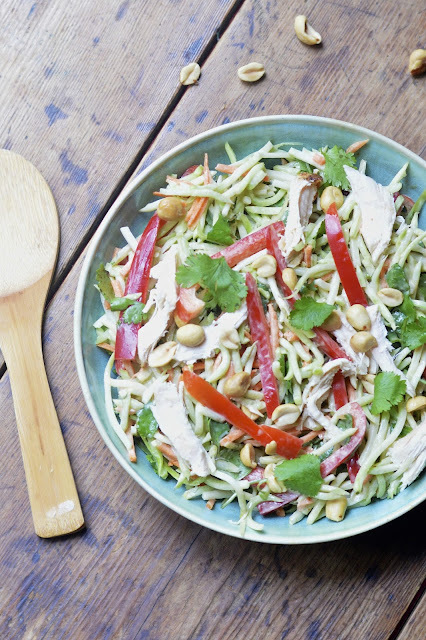 Toss slaw, chicken, cilantro and dressing together and serve or refrigerate for an hour. Top with peanuts.